There is some argument as to exactly where Millennials begin and end but it’s safe to say that, almost without anyone realizing it, the kids of the late 80s, the 90s and the very early 2000s have grown up to become the largest group of consumers in the marketplace today. The Millennial Generation, especially the early ones, have grown up with the internet, literally. They were born into and live in the information age and see it as natural to get any information they want on demand, usually within seconds to a minute. They have become accustomed to real-time responses from their favourite brands with online shoppers claiming that valuing their time is the most important thing a brand can do for them. Add social media into this merry mix and things have become extremely complicated and demanding for marketers. Constantly switching between laptop, phone and TV has become habitual for most of us, yes even the non-Millennials. So, brands need to market and connect with consumers across multiple devices and social channels. In addition, as a result of being bombarded with information, the Millennial attention span is minimal, with some quipping that a competition with goldfish is in the offing. This means that websites and other digital platforms need to have clean, easy to use interfaces with tons of information displayed in an uncluttered fashion. Millennials don’t fall for the marketing gimmicks of yesterday and they expect brands to have an informal and honest attitude when dealing with customers. Millennials like to engage with brands and their peers through tweets, texts, posts and Instagrams and not in any traditional manner. So, as a marketer, if you’re not speaking to your Millennial audience on their preferred platforms, in their native tongues and with complete authenticity or at least the air of complete authenticity :-P, then you are sure to be out of luck because say, ‘hello’ to the Social Warrior. They’re the armchair generals of the age only with the ability to inflict actual damage by weighing in on ‘social opinion’, even directing it. While all of the demands that Millennials place on their brands of choice have made the marketplace a battlefield for marketers, the demanding nature of Millennials means that plenty of good is coming out of it as well. They’re socially conscious and really want to make a difference or at least feel that they are part of a movement that is making a difference. This means a healthy scepticism of overt sales tactics and a demand that their brands of choice act responsibly and become intimately involved in addressing the social issues of the day. For this reason, a brand that wants success in the marketplace will do well to choose and align themselves with a good cause, donating portions of profits or fundraising through promotional events. All of these new demands might seem gloomy at face value, but there’s a very positive side to it too. You see, Millennials are a paradox. They are sceptical to overtness and fakery but they are by far the generation most open and receptive to advertising, partly because of their own voracious curiosity and also because the digital platforms with which they engage are a marketer’s dream. Whether they like it or not, Millennials can be reached. Products and services today are more saleable in the market place than ever been before. In addition to this, post campaign launch, the audience themselves will do a lot of the work for you through content sharing, which has become a new kind of proclamation of self and values. Through it, consumers express their beliefs, who they are and the image that they want to project to the world. Millennials, unlike generations before them, were largely brought up to believe that they can do anything and that they are special. This means a serious need for personalization of marketing content for this demographic and this is now easily achieved through various social platforms and a little bit of ingenuity on the part of the marketer. They value success, happiness, curiosity, enjoyment and passion and this drives how they engage with the brands of their choice. They want fun and engaging content and it never hurts to throw in a bit of wit and humour. With the changes that we have seen in the last 30 years, the marketplace has evolved and changed. It has become simpler and more complex at the same time. While this means that it has never before been more difficult to market a product or a service. It also means that it has never before been easier to do so. The marketplace today, especially the Millennial demographic, is more ripe and receptive than it has ever been before. Are You Ready For The Disruption? 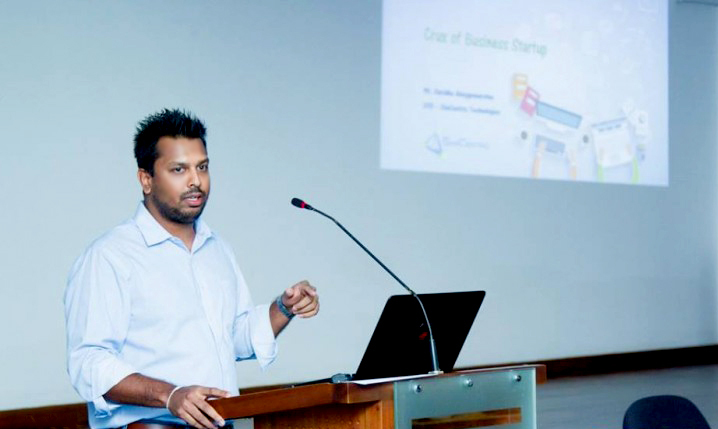 Disrupt Asia is a startup conference organized by ICTA, which was held for the first time in Sri Lanka in 2016 and saw many innovative startups and influential personalities in the tech scene come to the fore. 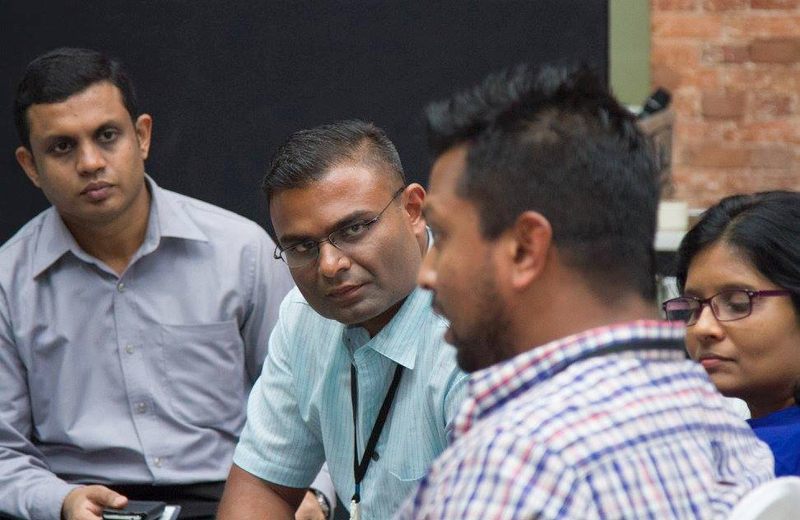 Last year, being the first time the event was held, expectations were high and the event managed to surpass expectations and deliver an exciting glimpse into Sri Lanka’s brilliant minds and vibrant startup scene. The event is scheduled to be held on the 12th of July 2017 at the Hilton Colombo and a number of talented speakers are scheduled to share their life experiences and talk about the tricks of their trades. Disrupt Asia 2017 will provide a great platform through which the people behind the tech startups of the day and industry experts from all over the world can share ideas and gain insights from each other, with a key focus on how to make a start-up successful. Disrupt Asia will also provide an opportunity for any startup that is interested to attend the event as an exhibitor, be part of the Startup Exhibition and exhibit their products and services. Visitors to the event will get a chance to meet with these pioneers and share ideas. Along with the panel of speakers, an investor forum will also be held to give potential investors an opportunity to clearly understand the investment opportunities that are available in this area. Encouraging investment and the ability for new comers to appeal to investors is essential if we are to see the Sri Lankan startup scene flourish and make globally resounding waves. In addition to the investor forum, there are many workshops that are planned on various topics from mastering the lean canvas, becoming investor ready, digital marketing and understanding legalities as they pertain to startups. An academic workshop targeted at the management teams of public and private universities is also planned. The most thrilling spectacle of Disrupt Asia 2017 is likely to be the Startup Battle, which will be hosted this year by Hemas Slingshot. The competition will see startups get up on stage and pitch ideas to a panel of judges through multiple rounds of the competition. The startups that are shortlisted will be invited to participate at the semi-finals to be held at the Edulink International Campus. The three finalists at the semi-final will pitch their ideas at the Disrupt Asia 2017 itself and the winner will receive a cash price of LKR 200,000/- and a co-working space for 6 months. The runners up will receive a cash prize of LKR 100,000/- and a co-working space for 3 months. Registrations for the Startup Battle and slots for exhibitors are still open and it’s still not too late to send yours in. For more information about the event, tickets and how to be a part of it click here. Disrupt Asia 2017 is set to be a smelting pot of talent, ideas, passion and drive. If you have even the slightest interest in tech businesses, products and services then this is a not-to-miss event. We can’t wait to see what this year’s event has in store and be a part of the action. Tell us what you think about Disrupt Asia 2017 in the comments below. Walking to school one day, two bright young students from St. Anthony’s College, Kandy passed by a street musician playing beautiful music on a flute. They were then shocked to realize that the street musician was, in fact, blind. The blind man and his soulful music inspired them to create something that would help people who are visually handicapped and possibly deaf. This inspiration drove them to create a smart walking stick from scratch and of their very own design. The smart walking stick uses a variety of systems and sensors to operate. A built-in tracking system can be used to find the walking stick if it happens to be misplaced and this combines with a messaging system that can alert a relative or caregiver to any anomalous behaviour with a location of the disabled person. We also understand that the disabled person themselves may trigger a call for help using the messaging system. The most apparently useful technology that the smart walking stick features is an obstacle proximity detection and warning system. Using ultrasonic technology the walking stick is able to detect obstacles within 90cm of the disabled person and warn them about the obstacle using a system of vibrations. Another interesting feature is an LED indicator system that alerts persons in close proximity to the user of the walking stick that the user is visually impaired. The two boys who designed and developed the smart walking stick are Gajindu Bandara and Gimhana Wijeyawardana from St. Anthony’s College, Kandy. Their creation competed against entries from all over the world and won the gold medal in the School Category at the Asia-Pacific ICT Alliance Awards (APICTA), which was held this year in Taipei, Taiwan. The duo has also won the Young Computer Scientist competition, which is organized by the Federation of IT Industry Sri Lanka and the Ministry of Education. The smart walking stick is intended for use by people of all age groups and the duo who developed it are now working on making the device more power efficient and possibly installing solar panels to allow for continuous power. The power source and fitting the necessary electronics into the confined space was a major issue during development and was overcome by using the smallest programming boards and rechargeable batteries. The two boys who developed the walking stick are optimistic about its future and feel that their product could become a commercially viable project. They are also working on other plans and are brimming with ambition and creativity. While the idea of a smart walking stick is not new and a number of massive companies have taken steps in this direction, those companies have been backed by massive funding and vast teams of professionals working on those projects. Yet here, we have two young boys, still in school with a shoe string budget having created a useful, working prototype. What wonders will they achieve once they leave school and have more resources at their disposal? We are excited to see! Share your thoughts and comments on this brave and brilliant achievement with us in the comments below! Artificial Intelligence (AI), intelligence exhibited by machines is one of the major frontiers of technology in the world today and Sri Lanka is now amongst a handful of countries now at the leading edge of this brave new area of tech. This is all thanks to The Colombo Centre for Cognitive Computing (CogCom), which launched on the 2nd of March 2017 with the purpose of providing AI solutions to businesses and corporates in Sri Lanka and Asia-Pacific, by providing Artificial Intelligence Applications in the regional and global market. CogCom is a developer of AI solutions that looks to focus on optimising human performance through smart machines and their team of AI Specialists build apps that help businesses across the world automate tasks and deliver great customer experiences. The apps that CogCom develops run on smart machines that are able to answer questions from anywhere and at any time in simple, natural language. Despite launching its AI development services only recently, CogCom has had a presence in Sri Lanka as ‘Volume Technology Centre’ for many years now and with the rebranding and launch of CogCom they have also moved from their old offices at the World Trade Centre in Colombo to a brilliantly designed and truly awesome new facility at the Orion City IT Park. Visitors to the new offices were completely taken by the open spaces, glass-walled meeting rooms and collaborative working areas complete with comfy, colourful bean bags, wooden swings and a swanky artificial lawn. Some visitors quipped that they almost thought they were visiting Google’s headquarters in the US. The new environment is sure to be a catalyst in CogCom’s quest to create out of the box solutions. CogCom is a wholly owned subsidiary of Volume Limited, UK, which is why they were known as Volume Technology Centre before rebranding as CogCom and deciding to introduce AI based solutions in Sri Lanka. Chris Sykes who is the CEO and Head of AI and Robotics at Volume in the UK made a special visit to Sri Lanka for the launch of CogCom and the opening of their delightful new offices. Also present was Volume’s Chief People Officer, Gemma Hood. Chris Sykes and CogCom’s General Manager, Asiri Fernando addressed the cheerful crowd and pledged to work towards the future of AI in Sri Lanka and the Asia-Pacific Region. CogCom also intends to work closely with the High Quality IT Schools and Universities in Sri Lanka to help develop an AI-Focused Curriculum to encourage emerging and aspiring professionals in the field. Other notable persons present at the launch and opening were Krishan Fernando the Country General Manager for Sri Lanka at IBM-Watson, Jeevan Gnanam the Director/CEO at Orion City, Arunesh Peter the Director Projects at ICTA, Hiran Karunananda the Lead UX at CogCom and Ramesh Shanmuganathan the Chief Information Officer at the John Keells Group. AI is among the frontiers of technology and at the very cutting edge. It’s one of the many routes that technology may take in the future. AI is today what the internet was in the early 90s, a brave new world where anything is theoretically possible and with the launch of CogCom, Sri Lanka now has its role cut out in this arena. Sri Lanka is a spring of talent, especially in the ICT sector and it will be exciting to see the ideas that the team at CogCom come up with to solve the problems of tomorrow, not to mention today. Check out this cool video about Artificial Intelligence and tell us what you think about AI and CogCom in the comments below. Is An Economical Revolution Upon Us? The delightful people over at SLASSCOM recently organized a Tech Talk Event, which was held at the Dialog Axiata Auditorium on the 31st of January 2017 and the topic of discussion was the Blockchain. No, it doesn’t have anything to do with road traffic blocks, although it might be a great idea for someone to organize a discussion on that topic too. To the uninitiated, ‘Blockchain’ probably sounds rather dull, but the truth is that it has the power to really change the way the global economic system works, for the better. What exactly is Blockchain? It’s a distributed database that maintains a continuously growing list of records with each of these records called blocks and each block containing a time stamp along with a link to a previous block. Put simply, Blockchain is an open, distributed ledger that records transactions between parties efficiently, permanently and in a verifiable way. The technology has become such a hot topic because of its robust ability to prevent the data it stores from being modified. This ability gives Blockchain the power to revolutionize the way we store data about transactions. The panel of experts at the SLASSCOM Tech Talk were Conrad Dias – Group CIO for LOLC, Jayamin Pelpola – Managing Partner of Alfiniti Ventures, Tharindu Dissanayake – Vice President of Millennium IT and Omega Silva – Software Architect at Virtusa Polaris. Conrad Dias began the discussion by outlining the nature of Blockchain and its implications. Jayamin Pelpola then expounded on how best people could innovate around the distributed Blockchain. After that, Omega Silva went into detail about the Blockchain and how double spending problems are prevented and touched on how and why it’s almost impossible for Blockchain to be hacked. This was followed by a brilliant presentation by Tharindu Dissanayake on building decentralized applications using Blockchain based distributed networks like Ethereum. This was followed by a lively panel discussion. Bitcoin and other crypto-currencies are all powered by Blockchain. The beauty of the Blockchain is that applications built for it are server-less, meaning that they can be run jointly on the client-side and within Blockchain based distributed networks. The client device then manages the front-end and user credentials, while the backend runs on a distributed network of computers that provide for the processing and storage requirements. All of this makes Blockchain extremely secure and resilient to attack. Best of all, it’s a decentralized system, which makes manipulation exceedingly difficult, if not impossible. So particularly for currencies and things of value, this is especially useful. The system also calls for and demands high levels of credibility and provides users with a significant amount of control over their data, communications and credentials. The technology is so powerful that even financial giants like Visa are looking into adopting the technology. While there is endless benefit to be had with the use of the Blockchain and crypto-currencies, there also are, inevitably, some concerns. Of particular concern is the ability to conduct cross-border transfers of value with almost complete anonymity, which has resulted in crypto-currencies becoming a haven for some rather unsavoury characters. Surely, everyone has heard of the Silk Road website. Still, we feel that with widespread adoption the system will self-regulate and resolve these problems on its own. What is a concern, though, is that if the Blockchain becomes the backbone of modern economic transactions in the future, it will also become the best target for those with malicious intent. While it now seems like the system is virtually ‘un-hackable’, history suggests that at some point, it is very likely to be compromised. Nevertheless, for the foreseeable future there is nothing but benefit to be had from the technology and it’s great to see it being discussed and even being adopted in Sri Lanka at this early stage. Checkout this video explaining more about the Blockchain and visit SLASSCOM’s YouTube channel to see footage from the event itself. Do tell us what you think about Blockchain in the comments below.